Yassou! Happy Saturday everyone! 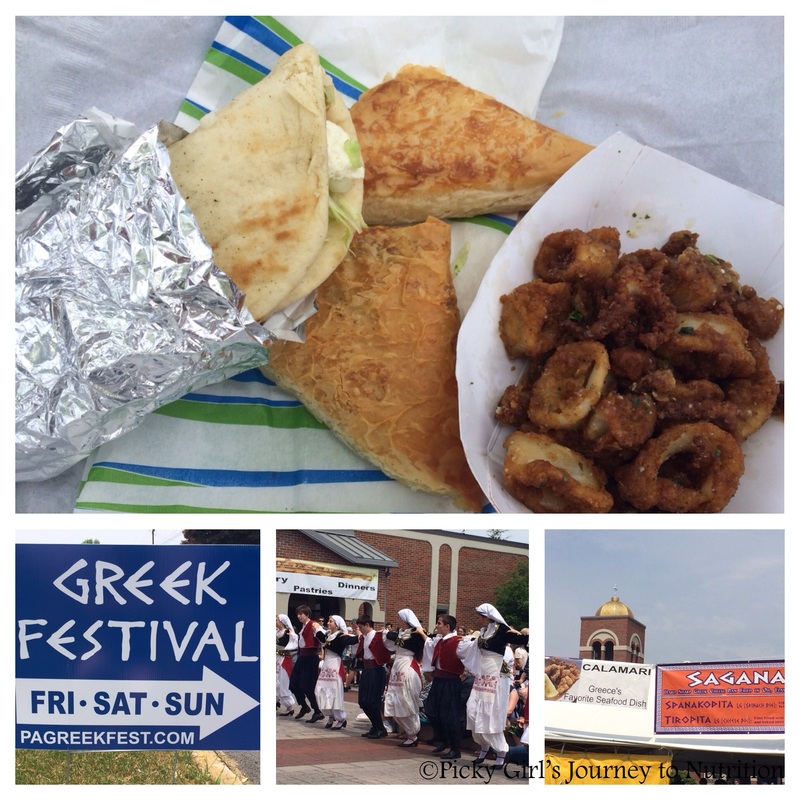 The latest Picky Girl adventure was the Pennsylvania Greek Festival. It was my first time attending and also my first time trying Greek food. The atmosphere, the music, and the dancing were all fantastic! But, on to the most important part….the food! Of course as you probably guessed there was a lot of food there. I didn’t get to try everything but, did get to taste some main Greek staples. My favorites of the day were the Veggie Gyro, Spanakopita, Tiropita, and Calamari. I was excited that they had a lot of vegetarian options for me to try! It was fun to go Greek for the day and made me want to visit actual Greece even more! Hope you all enjoy your weekend! Do you have any Greek food favorites? That sounds like a great Greek experience! I recently tried gigantes, which are really tender beans simmered for a long time so they are tender and delicious. I love feta cheese and olives too, and eggplant dishes.